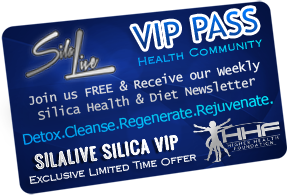 About Silalive: What is SILICA? 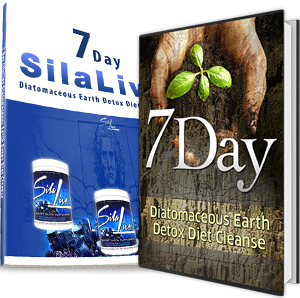 SilaLive is carefully manufactured and cared for by Higher Health Foundation who's sole intention and higher purpose is to Enlighten the Mind, Empower the Body, and Enrich the Spirit for better quality of life, health, and happiness. Our bodies have a natural self-cleansing for maintaining a clean, healthy body and our "river of life" – our blood. It's essential we keep our entire bodily machinery from head to toes healthy and in good working order so nothing breaks down! 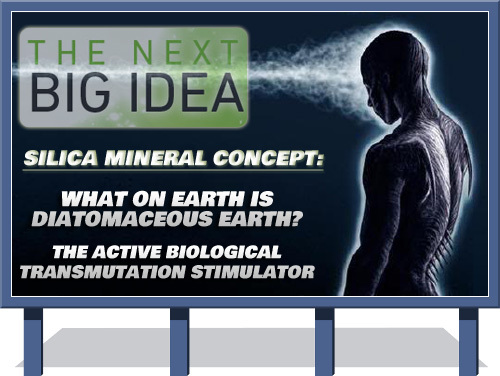 After years of our own due diligence and research, going through countless scientifically credible sources and literate, we believe one of the next big things in the health industry is the remarkable ability and scientific backing of nature's miracle mineral, SILICA. All the things consumers can do with Diatomaceous Earth: Over 101 easy ways to “go green” with this amazing food grade Diatomaceous Earth (DE) that originates from ancient fossilized algae provided by Mother Nature. * Safer natural insecticide for homes, gardens, animals, birds, barns, farms, kennels, grains, crops, schools, parks, etc. * Learn what DE is, where it comes from, & how to use it. * Learn tools, application methods & recipes for applying DE. * Learn how to read labels correctly to choose the right kind of DE. * Learn how to identify and distinguish from unsuitable industrial filtering grades. * Learn about health risks linked to toxic chemical pesticides. * Discover eco-stories & anecdotal comments from all kinds of successful users of DE. * Find healthier & more contented birds & animals: DE rids fleas, ticks, lice & parasites. * Use DE as an animal feed additive for improved nutrition & health. * Use DE in animal feed as an anti-caking agent for anti-clumping, easy flow & mixing. * Use DE as a deodorizer on manure for drier mangers, barns, & stables for less flies. * Use DE as a soil amender for clay soils for more porosity & supply 14 trace minerals. * Use DE for protecting & storing grains & seeds. * Use DE to clean up oil spills. * Use DE to clean & polish tarnished silver & copper. * Use DE to dry leaves & flowers for arrangements. * Use DE as a non-scratching soft scrub. * Use DE to remove light scratches from vehicles. * Use DE as a deodorizer in shoes, kitty litter, refrigerator, vacuum bags & garbage cans, etc. More coming soon, stay tuned! !